Sponsoring a child in Africa is one of the most powerful and sustainable ways you can fight poverty for good. But it’s not just powerful, it’s personal. You can share life-changing letters, photos, and encouragement with your sponsored child. Sponsor a child in Africa today. 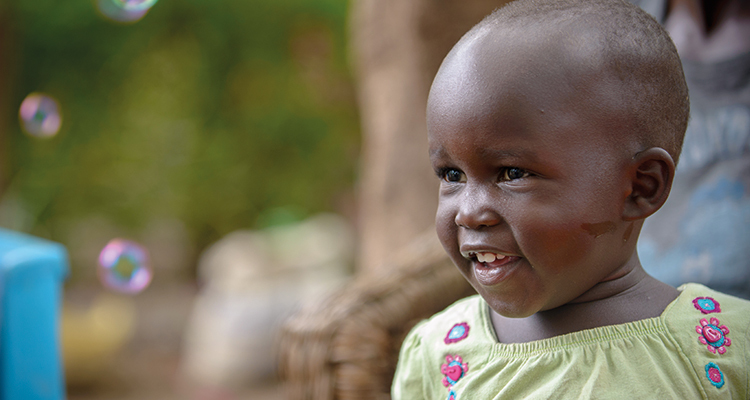 When you sponsor a child in Africa through World Vision, you’ll help a child in need move from surviving to thriving. Our goal is to help children, families, and communities to experience wellness and wholeness that lasts long after our work is done. As the sponsor of an African child, you’ll get to love them, pray for them, encourage them, and be part of a community of people who support their well being. It can be life-changing when children in Africa know that they have a sponsor in the U.S. who cares about them. But it can also be life-changing for you to build a relationship with your sponsored child. You can even visit your sponsored child! World Vision takes a big picture approach when partnering with communities, addressing all of their critical needs. Depending on the needs of your sponsored child’s community, your monthly sponsorship donation will bring things like: Clean water, sanitation, improved quality of education, economic empowerment, empowering women and girls, job training, agricultural training, helping children learn about their rights, improved access to health care, nutrition education, and the hope that comes from knowing God’s love. Sponsors from the U.S. can partner with communities in 20 countries in Africa by sponsoring a child. 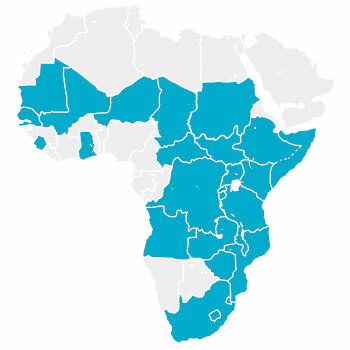 World Vision U.S. funds child sponsorship programs across the continent in East Africa, West Africa, and Southern Africa. You can sponsor a child in any of these African countries: Burundi, Chad, Congo (DRC), Ethiopia, Ghana, Kenya, Lesotho, Malawi, Mali, Mauritania, Mozambique, Niger, Rwanda, Senegal, Sierra Leone, South Africa, Swaziland, Tanzania, Uganda, Zambia and Zimbabwe. Did you know that Africa is the second largest continent with the second largest population? With 54 countries, Africa has a wide, diverse range of ethnicities, languages, cultures, and religions. African countries have varying climates, natural resources, and levels of political stability. Health crises from HIV and AIDS, malaria, and ebola have threatened a generation. In fact, Africa has the youngest median age out of all the continents. When you sponsor a child in Africa, you can help empower the next generation of African children to break the cycle of poverty for good.